Growing up on a cattle ranch in Dodge City, Kansas, Mark Theis has always had an interest in all things agricultural. He even tried his hand at making homemade wine for the first time in high school. Mark followed his passion and went on to study agriculture at Kansas State and the University of Nevada at Reno. He soon developed a taste for wine and began experimenting with fermentation, which inspired him to transfer to U.C. Davis to pursue a degree in fermentation science. After graduating in 1979, Mark took his first winery job as an assistant at Monterey Peninsula Winery, which proved to be an ideal training ground for a young winemaker. By 1981, he had been appointed head winemaker and was crafting highly individualistic wines which garnered a remarkable cult following. Two years later, he took on a winemaker role with Husch Winery in Mendocino County's Anderson Valley, where, over the span of ten years, he produced many critically acclaimed wines, most notably the Husch La Ribera Vineyard Sauvignon Blanc. 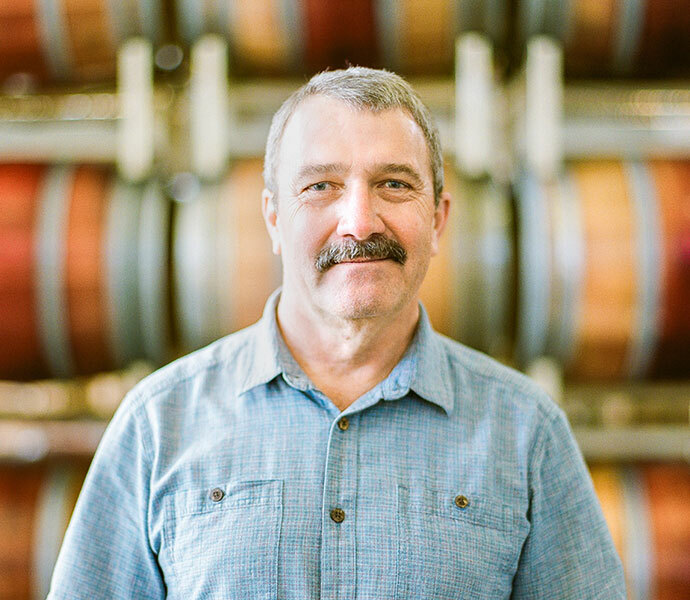 In 1994, Mark joined Kendall-Jackson as Winemaker at the Lakeport facility, producing wines for the Artisans & Estates Lakewood label. In 1998, he helped to open the Kendall-Jackson Monterey winery, leading to his appointment as Kendall-Jackson white winemaker.